Back in the day, my parents took my brother and I to the Ontario region. Mom and Dad were extreme sightseers, and didn’t know the meaning of relaxing when on ‘vacation’. One day in particular, I refused to leave the hotel room one. more. day. NO amount of encouraging worked, no matter how big of a deal the sight to see was. So they left me behind. This is part 5 of the Toronto Series. Where we left off… Jen and I had just had a magnificent day touring places like the CN Tower, the hippie village of Kensington Market, and the jaw dropping Graffiti Alley. Visit THIS post. It’s a must see! And as tired and happy as the day left me, the next day I had booked a tour to Niagra Falls. Let them do the driving I say… best money spent! The hotel did the booking for me, so I wasn’t sure what all was involved. I was pleasantly surprised when our tour bus gave us an option to take a helicopter tour over the falls before we even saw it. You can bet I was all over that! It isn’t every day you fly to the other side of Canada. May as well do it right. Have you ever been somewhere so epic, you’re at a total loss for words? Above is a shot of the horseshoe, and the American side to the left. Niagra looks small from up here, but you just wait. Seriously, I was snapping just as fast as I could. I didn’t know if even one shot would turn out through the blue AND moving helicopter windows. While these photos may not land in National Geographic, I feel they caught the awe and the ambiance. We then had lunch at one of the main hotels you see on your right, and you guessed it.. we were up high, and the walls were glass so you could take in the entire falls every second. And then it was time to suit up… we were about to get wet. This sweet couple and I kinda hung out during lunch and on the boat, taking pictures of each other. I was suppose to save their biz card so we could email each other. Guess what… the card vanished. 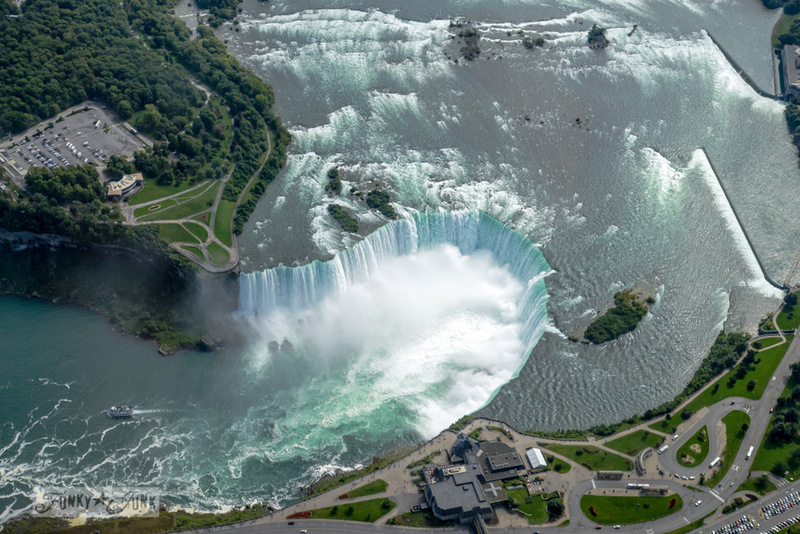 Dear friends, it’s my hope you google Niagra Falls and find this picture. Because this one of you two you should have! I never did tell them I was a blogger. So, imagine this is us. Once we were actually near the falls, it was like a downpour of rain, making it impossible to take pictures. However here’s one of the American side from the boat. This isn’t near the horseshoe but this gave them a better opportunity to view it. Take my word for it, if you ever go to Niagra, visit the Canadian side. We had the entire view without having to work for it. But wait till you see how close we were up above the horseshoe! And here is the sound. Hard to put into words what I saw. I kept staring at the falls, verbally repeating where I was so it would sink in before I left. But it never did. I still can’t believe I was there. The next leg of our trip was to visit Niagra On The Lake. It’s a flower and cottage filled town that is precious! The tour was MUCH too quick, I seriously only got to see a few storefronts on the main road and didn’t have time to find the antique district. But that’s ok. The day was so very long, from 9-8, and it was starting to rain. I was about done, looking forward to resting on the bus ride back. 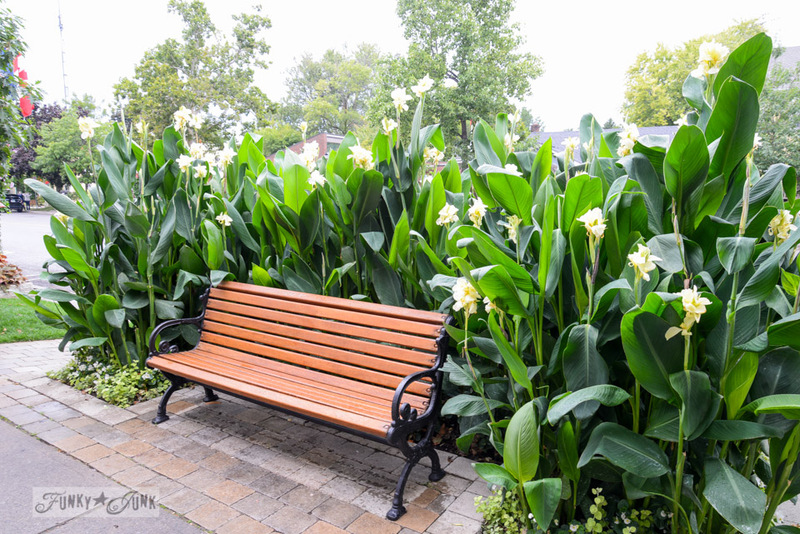 Interesting fact… they don’t desire noisy and constant tour buses to litter the quaint streets of Niagra On The Lake, so we had to hitch a shuttle, where they park you around the back of the town. It indeed was very quiet and lovely. During the bus ride home, we were asked to double up, to make room for a few more coming on board. A lovely lady sat beside me and we were both pretty tired and quiet for the most part. But then we started to make some small talk. And it was amazing. I DID tell her I was a blogger this round, and shared my story and the fact that I was in Toronto for Blogpodium. And then she shared hers. She was on a buying trip that didn’t go as well as planned. She didn’t exactly LOVE where she was at the moment, but once she walked off that bus, she was inspired to look beyond what she was doing, to search for that next step. Can I just say, that so made my day 100000% complete? Once I arrived at the hotel, my heart was once again full. It was a magical and overwhelming and very worthwhile day. And it would be a while before I could sum it up in a blog post or 2. I head out to Jack Aster’s for a bite to eat, then crawled back into my amazing hotel bed facing the CN Tower night light one more time. For it was time to go home. And while I was excited to hug my boy and pet my cats, there’s something about the Toronto city lights that stole my heart. Read all the Toronto adventure series to date HERE. When’s the last time you shared your heart with a stranger? There’s powerful work to be done, wherever you go, and whatever you do. Love the pictures. I am 8 miles from Niagara Falls. 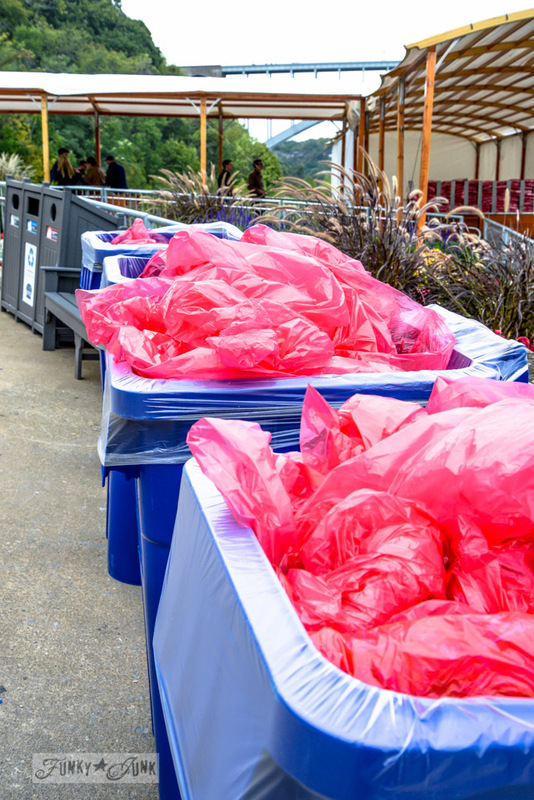 We usually make at least one trip during the summer. 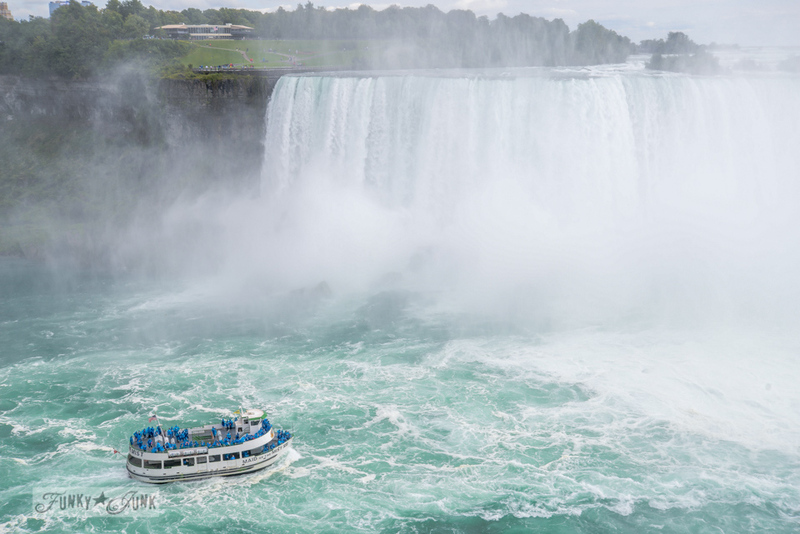 My son has a boat and we are often close to the Falls when boating. It is an amazing sight !! Great photos! 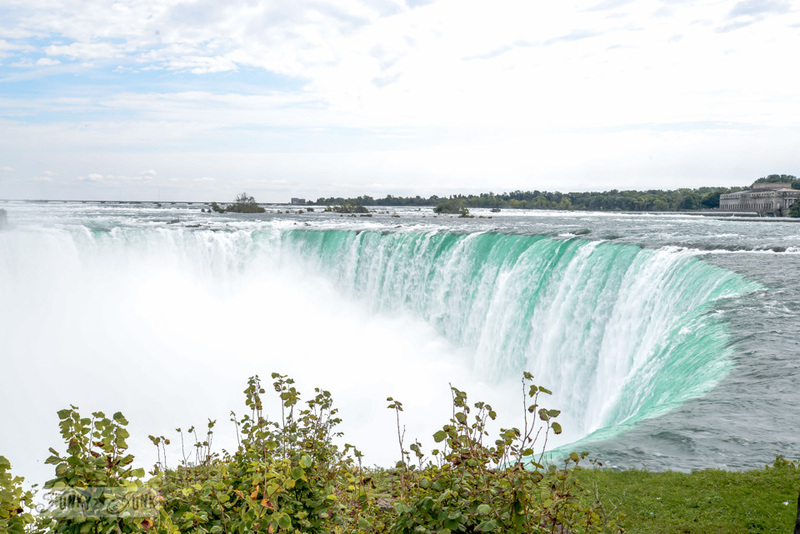 The Falls is definitely on my list to see when I travel around the country. I can hardly wait! Thanks for sharing. What a way to wake up!?! Just spectacular. It brings back wonderful memories. My first son was barely walking when we went. You have a great eye for photography. Have a great week. Thanks for all the sharing! The instagram video was amazing with the jaw-dropper at the end. We plan to get up there one day in our future AirStream! Oh, Donna!! 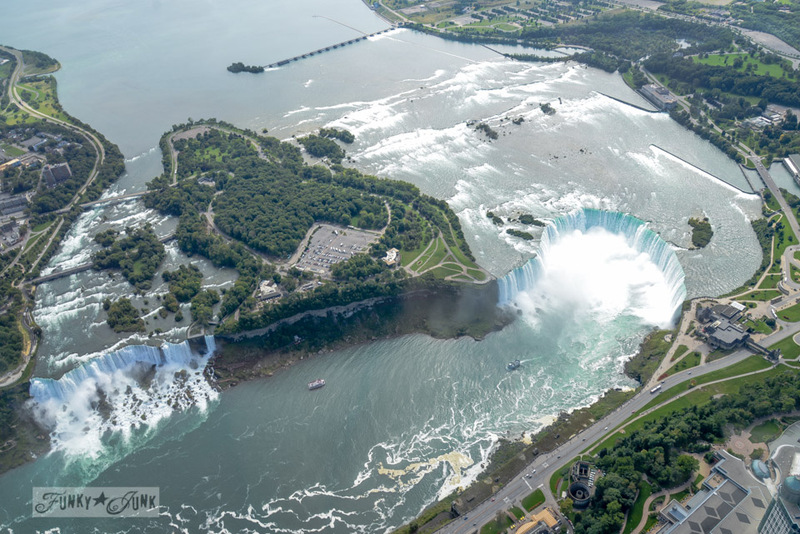 As a native Ontarian, I’ve been to Niagara countless times and I guess it’s kind of lost its lustre to me. But seeing it through a first-timers eyes, makes me realize how truly spectacular the falls are. Never done the helicopter tour – maybe next time. I’m sooooo glad you went. You really got to experience everything on this trip!! Donna, what a great post! I just put up a post from a trip my husband & I took recently to parts of Canada and the northeast US. We saw the Falls from both sides, and it was spectacular. 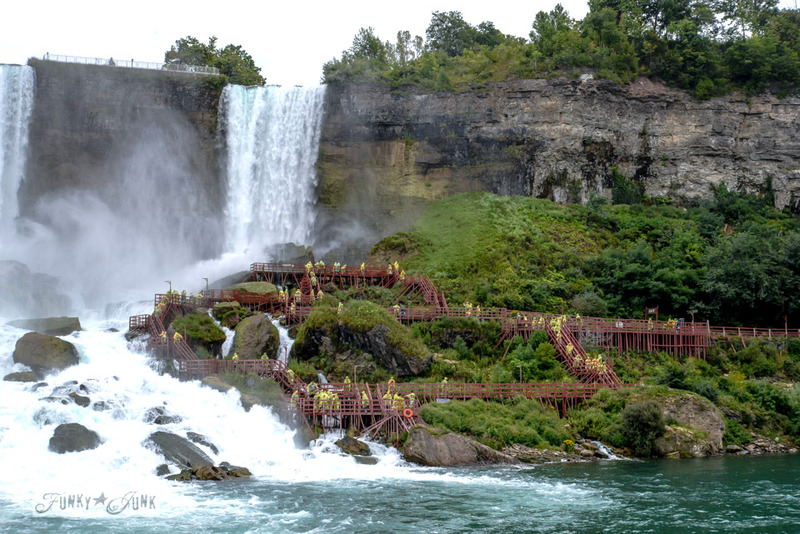 I agree that the Falls themselves are more beautiful from the Canadian side, but that Cave of the Winds on the US side was a not-to-be-missed experience, lol. I had been to the Falls as a child, an indelible memory, but no less impressive as an adult. My husband was impressed too – not an easy thing to accomplish. Your photos are absolutely stunning. What wonderful pictures. Thanks for sharing them with all of us. You’re a terrific writer, so interesting. Sometime it would be nice to see the inside of your house, like the laundry room the other day. Another scene I enjoyed was the pictures of the house across the street and all of the greenery. We live in Phoenix so there’s not much of that here. Lived most of my life in the Bay Area and I do miss so much the green hills, the romantic fog and soothing light rain falling. It’s amazing what’s in our own backyard( I live in Rochester) and its great that by a little conversation you touched someone’s life and possibly made a difference. You are meant to blog and I enjoy each post. I would have loved to have been that lady on the bus!!! My deceased husband and I went to Niagra Falls for a reunion with his army outfit. 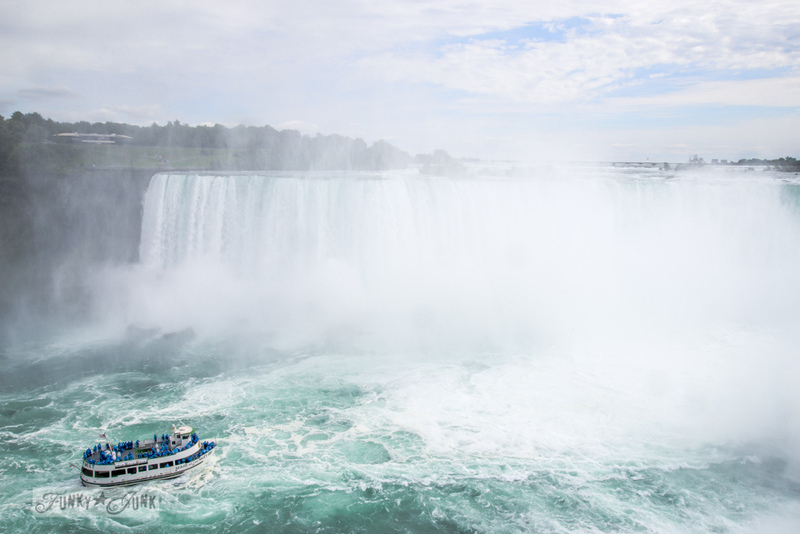 I was just in awe of the falls yes they are magnificent, but the power of them was just almost overwhelming and frightening, unless you see it in person and experience the boat ride and go on the tour behind the falls you just can’t imagine the beauty and the power of them. I think they said something like three million gallons of water per second go over the falls. I would love to go again and experience that whole thing all over again. The people that work the hotels and shops and restaurants were all so friendly and treated our very large group so wonderfully, I just can’t praise them enough. Our group went to a dinner theater and the play was “Oh Canada Eh” and everyone enjoyed it so much, they even honored our group and the General. I would jump at the chance to go again, but one thing I would never do is get on a boat in the river above the falls, I keep thinking what if the engine cut out on the boat and wouldn’t start where would you end up. I wish my pictures were half as good as yours, you really have an eye for photography. Thank you for sharing, it brought back wonderful memories. Donna, I never tire of seeing pictures of that magnificent body of water pouring off that huge waterfall! I have always been crazy about waterfalls. I don’t get exactly why that is since I grew up in rural Indiana and far from any waterfalls at all. I guess the first time I ever saw one, which, by the way, WAS Niagara Falls, I was in love! The power and the beauty of it is breathtaking. Thank you for taking back in time to when I first saw her first hand from both the American side and the Canadian side. We stayed in the Hyatt Regency Hotel (a huge splurge for us) and went to sleep with the lights of her in our dreams! I will never ever forget it! But with every wonderful moment in my life, it seems, comes heartache. My son was only about 3 when we were there and he came down with Scarlet Fever. We left Niagara Falls after one night there and had to rush him to the hospital! Another reason that trip was a memory-maker! Thanks for popping into my neck of the woods and being such an enthusiastic ambassador! I love the Falls, they never cease to amaze me. 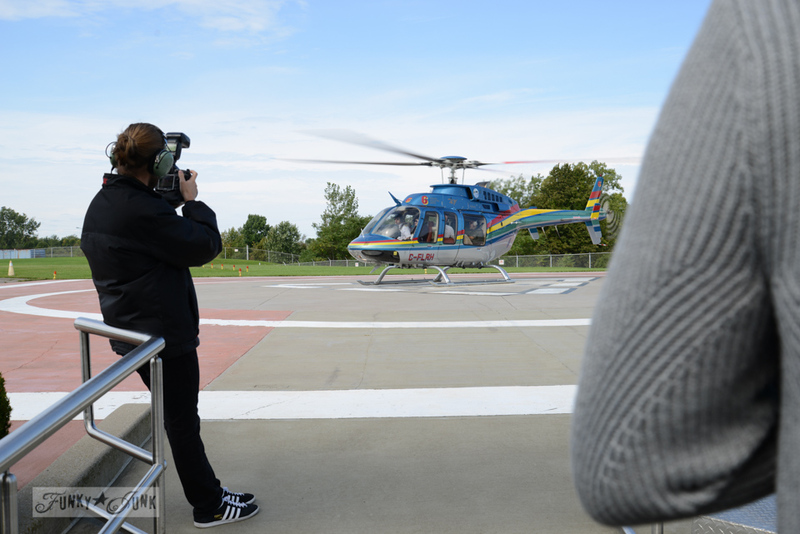 You may have just inspired this local gal to try that helicopter ride once and for all! Your photos are gorgeous and that video takes my breath away! 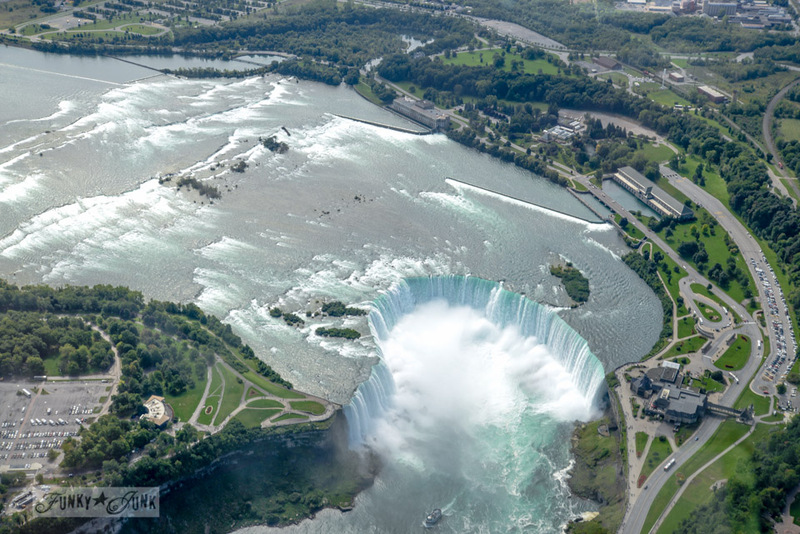 I have always wanted to visit Niagara Falls and maybe I will get to one day. Loved seeing it from your perspective. Following you on Instagram! Thank you for sharing this post ( pictures are awesome ) and every thing else you do! Oh, my, my, my. Definitely on my bucket list! I too live about 25 miles from the Falls. My grandfather had a cottage in Crystal Beach so we went there a lot and still do. Your pictures are beautiful. Standing on the ground you don’t get the full scoop. It is also very beautiful in winter with icicles on the trees from the mist. As an Ontario native, it is very fun to see the sights through your eyes. 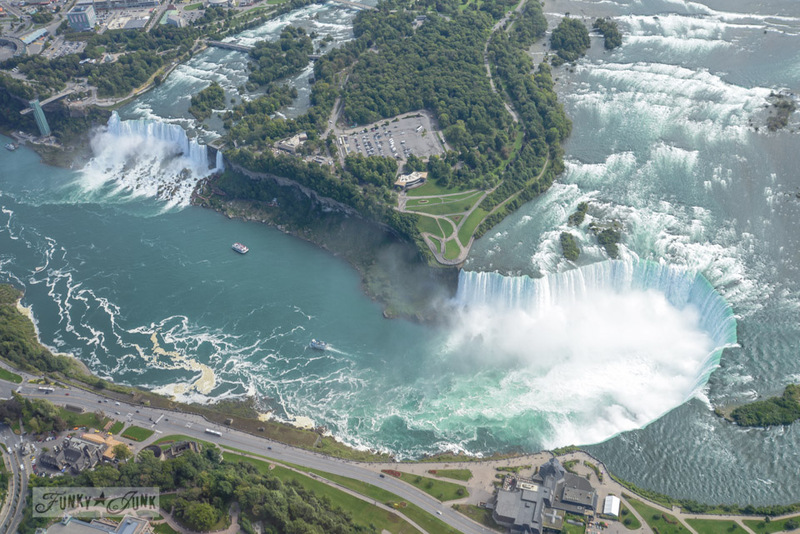 Love Niagara falls but terrifying to me – especially when I drive along the river upstream and see all these beautiful homes with boats at docks on the river – CANNOT imagine boating upstream of that drop – can you? As always – an enjoyable post – Thanks! That is so amazing! I can’t wait to go there someday!!!!!!!!! My husband would love the helicopter tour so much. Thanks for the photos. 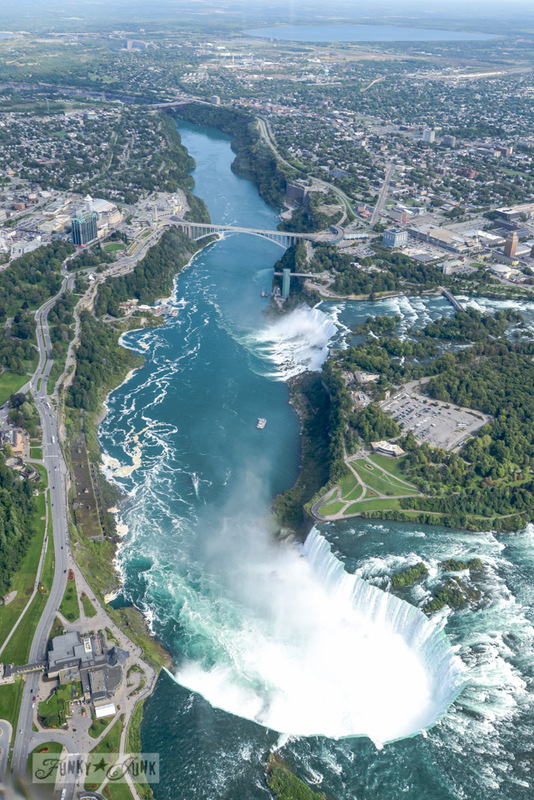 I’ve been to Niagara Falls twice, and I always wished I could fly over and see how it looks from above. Now I know. I think the falls are awesome! We truly do live in a beautiful country. Too bad it’s so darn big that few of us ever get to see all the sights! 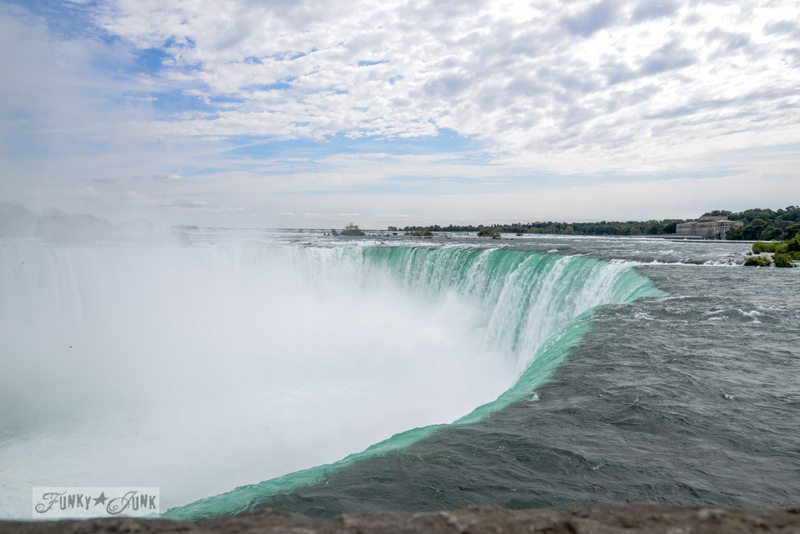 Absolutely stunning photos and video, it’s inspired me to put Niagra Falls on my bucket list! Loving your Toronto series, hopefully one day. Aussie fan, Jane. Donna that is absolutely beautiful and I would love to see it one day. Please know that the people of Canada are in my prayers and especially that poor soldier’s family. See Donna, I told you that you HAD to see Niagara Falls! Great pics, Donna! 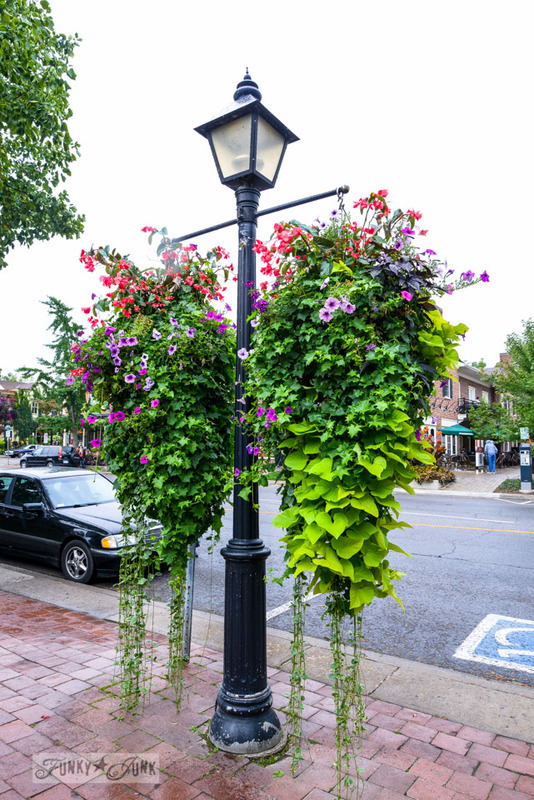 Yes, Niagara Falls is amazing – and Niagara-On-The-Lake beautiful! 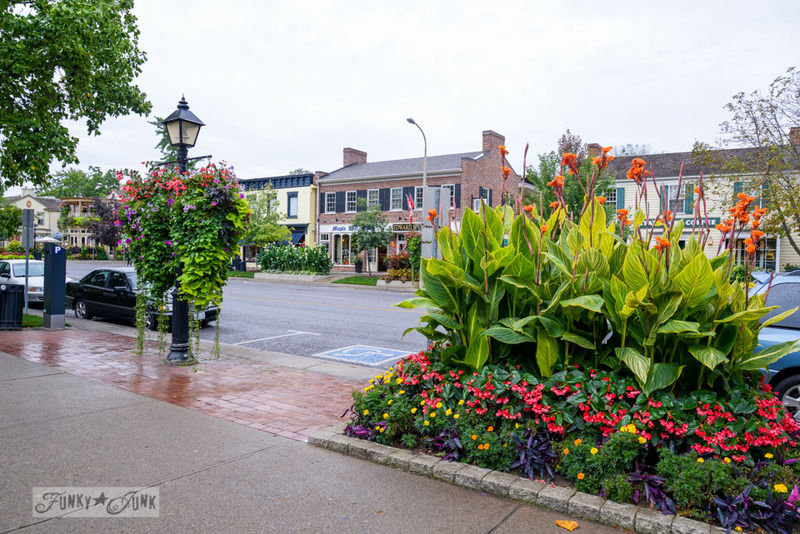 I’ve been to both several times and it’s incredible how the Falls stay amazing and Niagara-On-The-Lake just seems to become more and more comfortable, homey, and welcoming. Thank you for posting the terrific photos! I’m in Texas. Our friends (who are also from Texas) have a summer condo within walking distance of Lake St. Clair in Michigan, and we spent our summer vacation with them in 2013. We made the 4 hour drive to Niagara Falls from Detroit in August. I’m so glad we did! 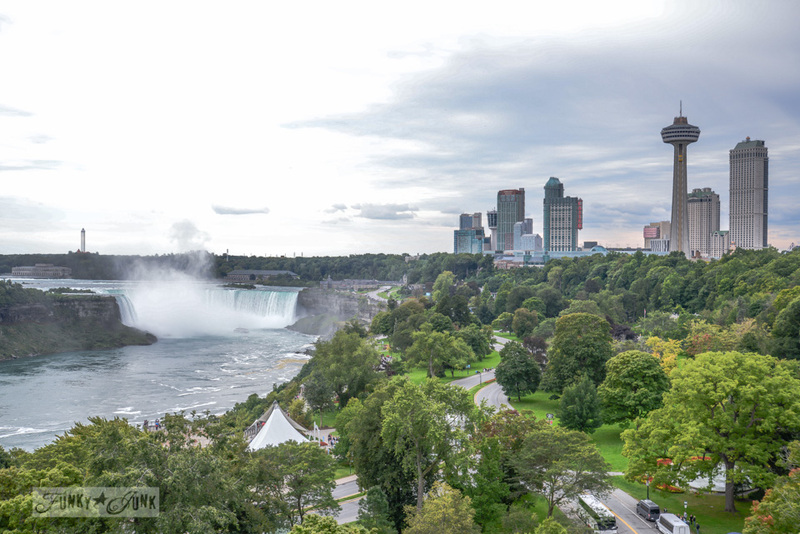 We visited the Canadian side of Niagara Falls, and we stayed for two nights at an older hotel/motel on Murray Street. The view of Niagara Falls from our room was AMAZING! 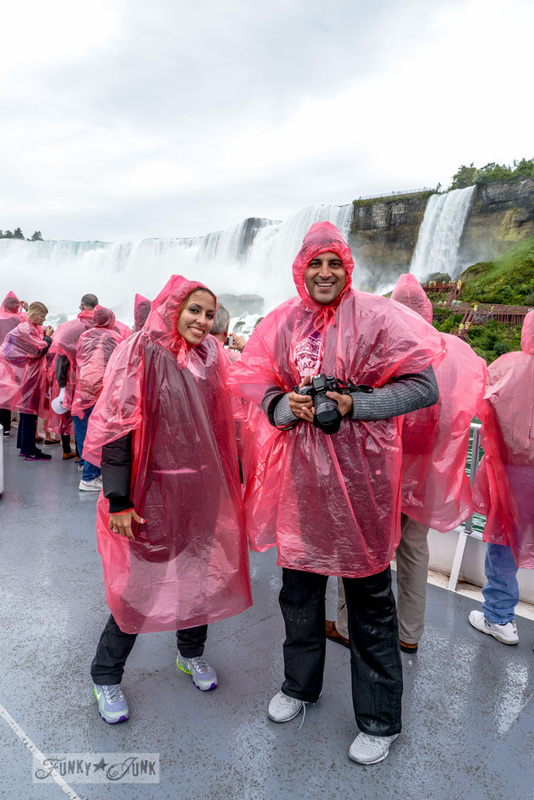 While at the Falls, we took every tour and adventure possible in two days. It was grand! We even took the “Maid of the Mist” boat excursion (blue was our color). Exhilarating, and great fun!!! I recommend the Canadian side of Niagara Falls. We enjoyed every minute of our time there, and I even got to dip my toes in Lake Ontario before returning to Michigan! AMAAAAZING post!!! Thank you so much for sharing, as I am agoraphobic and will never get to see this mystifying place in person. Beautiful photos!! 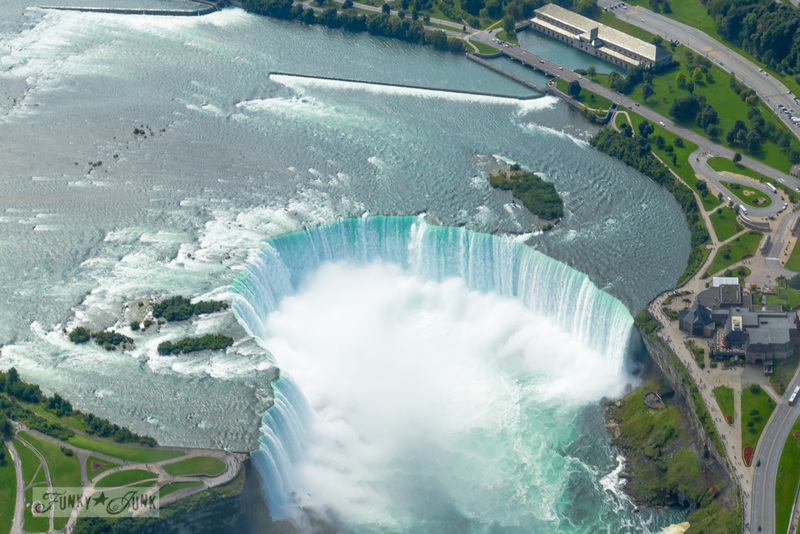 I’ve been to Niagara Falls a couple of times and would love to go there ago. It really is an awesome sight. I finally had a chance to sit down and read this series. What a fantastic opportunity and time you had. Oh ~ and you were only 1/2 way across the country *wink*. 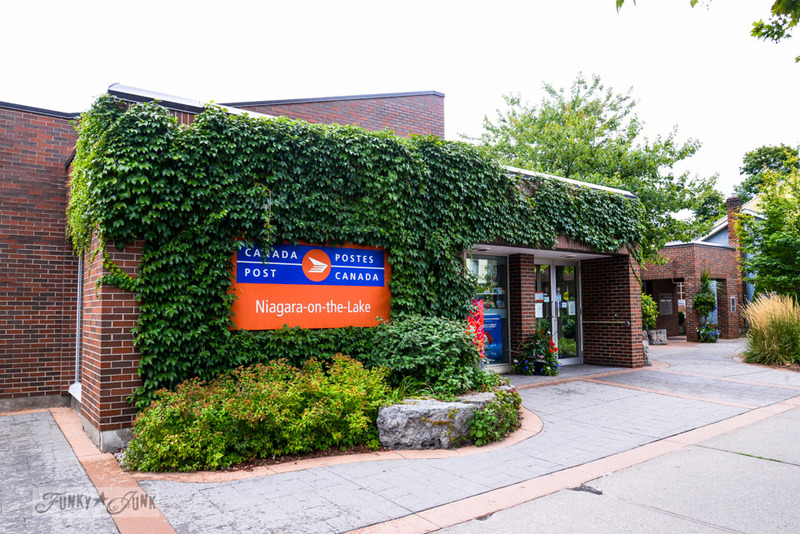 The Niagara region is one of my favourites. 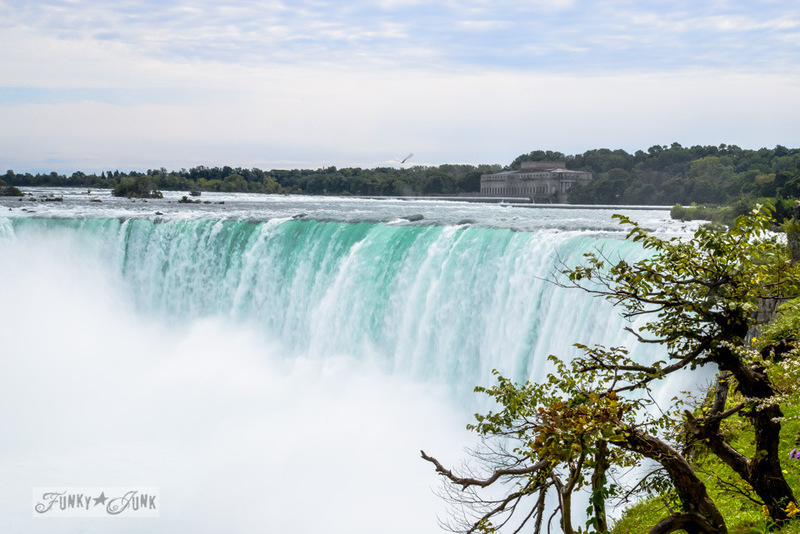 I loved seeing the falls through new eyes when I visited with my hubby as it was his first time there ~ it really is breathtaking. 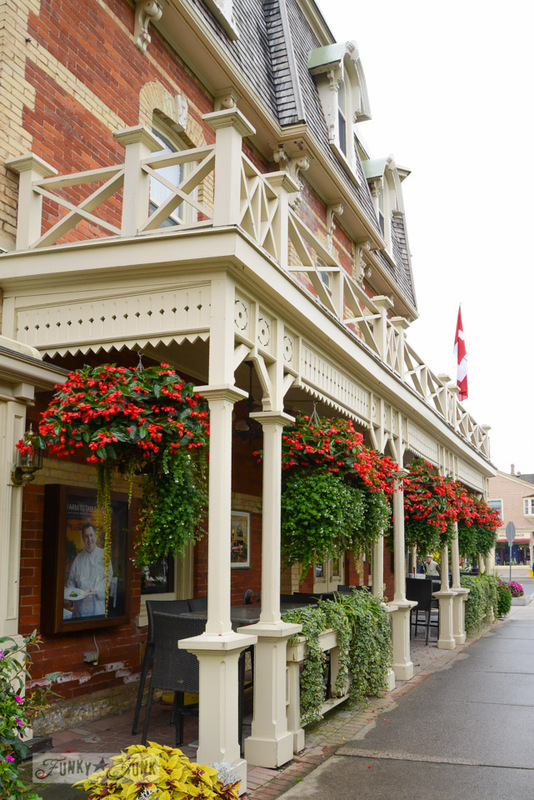 Niagara on the Lake was all that I hoped and dreamed it would be ~ adored it. So glad you had a good trip and you sure did pack in a lot in the time you had. What a beautiful place! Your pictures are amazing. I know what you mean about not being able to express such grandeur into words. I had the same experience when we went to Newfoundland this summer past and stood on the very tip on North America. It was a ‘God is Great ~ I am powerless’ moment. I am from Newfoundland living in Texas, I miss that Evert day!#! 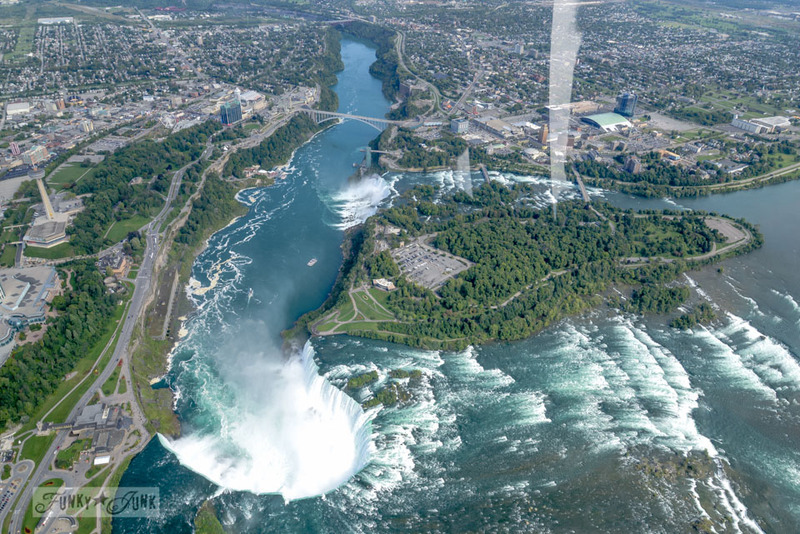 Great pics of Niagara Falls. I grew up on the American side. I used to take the ferry across the river to Niagara on the Lake all the time. I haven’t been in way to many years. You didn’t need a passport back then. Thanks for the beautiful pics.